And it’s easy to disable so it doesn’t bother you again. Unlike this Flash, the one on your browser can make things very slow or cause it to crash. 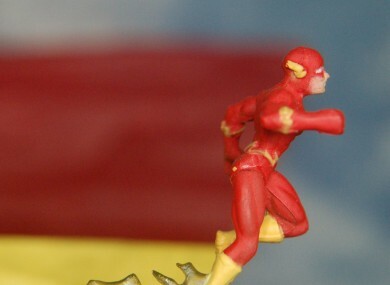 OF THE MANY problems that exist on the web, Flash is the one that just won’t seem to die. Brought in back in the 90s as a way to play multimedia content, it’s now become a vulnerability for browsers thanks to security issues, bugs and other issues. And if your browser crashes or slows down every so often, it’s probably the reason. There aren’t many reasons to keep it as it’s been phased out. iOS and Android don’t support it, Google and Mozilla both said they would drop default support for it and many sites use HTML5 as its default video format instead of Flash. Granted, some sites do require Flash to run videos so if you really need to watch it, there’s no other way round it than to reactivate it. If you want to have the best of both worlds, you could change your browser settings so it asks you when to run Flash, but for most people, it’s probably unnecessary to have it running in the first place. Here’s how to disable it entirely. Type in chrome://plugins to bring up the plugins page. It is one of the four options available here so click ‘disable’ underneath Flash and exit. By going into the open menu (top right-hand corner), click on ‘Add-ons’ and look for Shockwave Flash. Here you can choose to disable it entirely or for it to ask you to activate when it appears. In the browser, click on preferences and go into Security. In this section, you will see a plug-in settings option below. Click on it and in the ‘When visiting other websites’ section, change it to block. Much like Chrome, Microsoft Edge has its own setting for Flash. To disable it, go to the menu and select Settings. Scroll down to the bottom and select View advanced settings. Once that’s done, turn the Use Adobe Flash Player option off. Go to the options menu (cog icon) and click manage add-ons. Here, right-click on Shockwave Flash and click disable. If the option doesn’t show up, change ‘show currently loaded add-ons’ to ‘show all add-ons’. Email “Does your browser crash frequently? Flash could be the problem”. Feedback on “Does your browser crash frequently? Flash could be the problem”.